Dating back to c1700 but recently extensively renovated, including the cap, the property is set in mature and private south facing gardens with picturesque, far reaching open views. 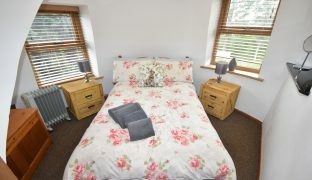 Currently run as a successful holiday let, but equally suitable as a second or permanent home. A labour of love for the current owner who bought it as a derelict shell in 2005, the Old Mill has undergone an exhaustive programme of renovations that have transformed it into a stunning contemporary home whilst retaining its immense character and charm. Highly recommended. 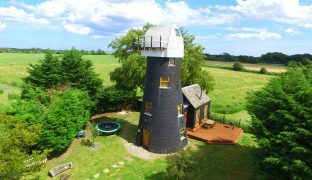 Believed to date back to circa 1700 the Old Mill served as a windpump/drainage mill until being converted to run on diesel circa 1930. The sails were finally removed in 1963. The extensive list of works carried out by the current owner includes everything from an electrical and plumbing works, new UPVC sealed unit double glazing, the installation of an electric underfloor heating system, a bespoke handmade oak kitchen finished with granite worktops, a completely new ground floor extension, to in 2010, the re-instating of a traditional boat shaped cap complete with gallery, in line with the mill’s original design. 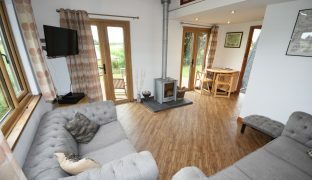 The accommodation is arranged over four floors and now includes an entrance hall, dual aspect living room with wood burning stove and impressive far reaching views, mezzanine study/sleeping area, shower room, circular oak finished kitchen, entrance lobby, one double bedroom, two single bedrooms (one with a fitted single bed/sofa) and finally the cap with access out onto the viewing gallery offering simply breathtaking views out over the River Thurne and the open countryside beyond. 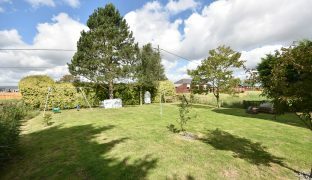 Set in mature and private south facing gardens that extend to approximately ¼ acre with picturesque open views. 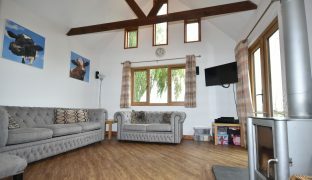 Currently run as a successful, well established holiday let but equally suitable as a perfectly placed second home or a unique permanent Broads residence. 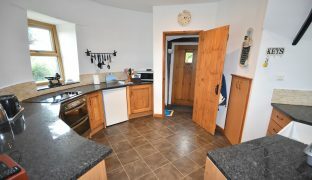 Stable door, window to side, down lighters, vinyl flooring, steps down to kitchen. Contemporary white suite with low level w/c, vanity wash basin, corner shower enclosure, tiled floor, tiled walls, window to side, down lighters, latch door, extractor fan. Impressive, dual aspect reception room with far reaching views, high vaulted ceiling, two sets of French doors leading out onto the south facing sun deck. Wood burning stove with slate hearth, vinyl flooring, down lighters, latch door. Currently housing a double bed. 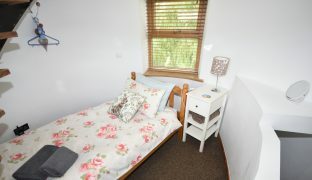 Windows to side, down lighters and built in storage cupboards. Accessed by ladder only. 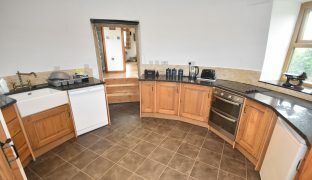 A striking circular room with a bespoke range of oak storage units finished with granite worktops including a Butler style sink, double oven and hob, plumbing for a washing machine, dual aspect, down lighters, vinyl floor, built in cupboard, latch door. Hand built oak door, wall lights, stairwell to first floor with inset lighting. Stairwell to second floor with inset lighting. Dual aspect with open views, down lighters, latch door. Dual aspect with open views, staircase to third floor. 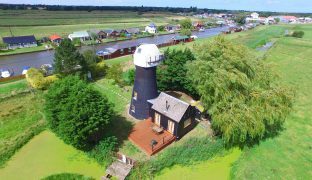 Window to side with far reaching views, pine panelled walls/ceiling door leading out onto the viewing gallery offering an incredible vantage point to appreciate the breathtaking views out over the River Thurne and the open countryside beyond. 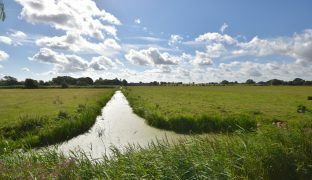 The private, enclosed, well established plot extends to approximately ¼ acre. 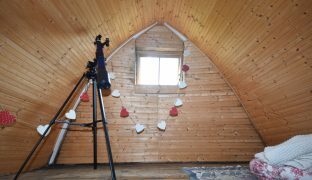 Laid mainly to lawn with a raised south facing sun deck with inset lighting looking out over the adjacent open countryside with a large timber shed with power and light connected, with an adjacent log store. 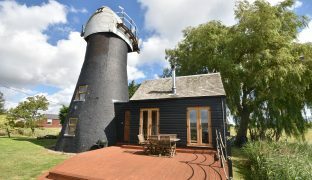 The Mill benefits from external up/down lighters, external power and water. Tenure: Freehold, full residential status. Services: Mains water and electricity, private drainage. No vehicular access – accessible by footpath only. 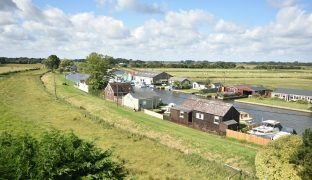 Permit parking is available in both Potter Heigham and Repps with Bastwick by private arrangement. Approximate cost £250 per annum. Approximate distance – 10/15 minutes’ walk.